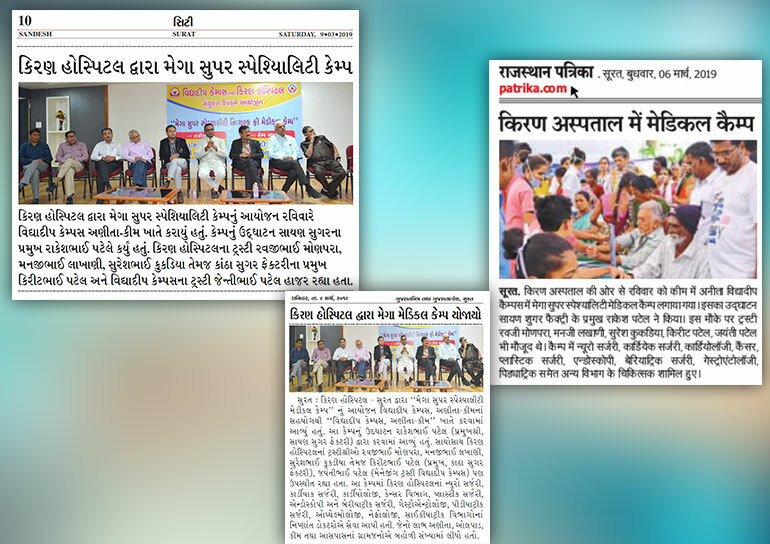 The mega super-speciality camp was organized by Kiran Hospital on Sunday at Vidyadip Campus, Anita, Kim. 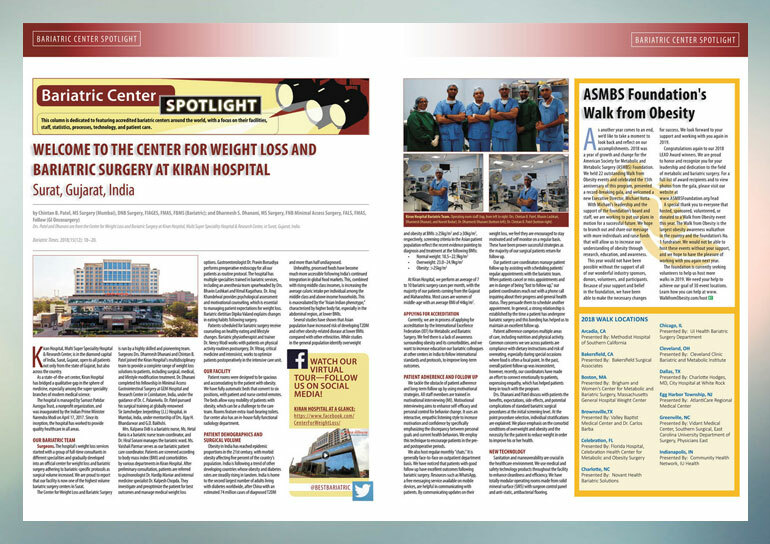 Bariatric Times, internationally acclaimed journal from Pennsylvania, USA on bariatric trends, research, developments utilized in the treatment of obesity and metabolic disorders. Special Thanks To Our Trustee Vallabhbhai Lakhani Kiran Gems Private Limited Kiran Exports Kiran Gems For Kind Support Kiran Multi Super Speciality Hospital & Research Centre. 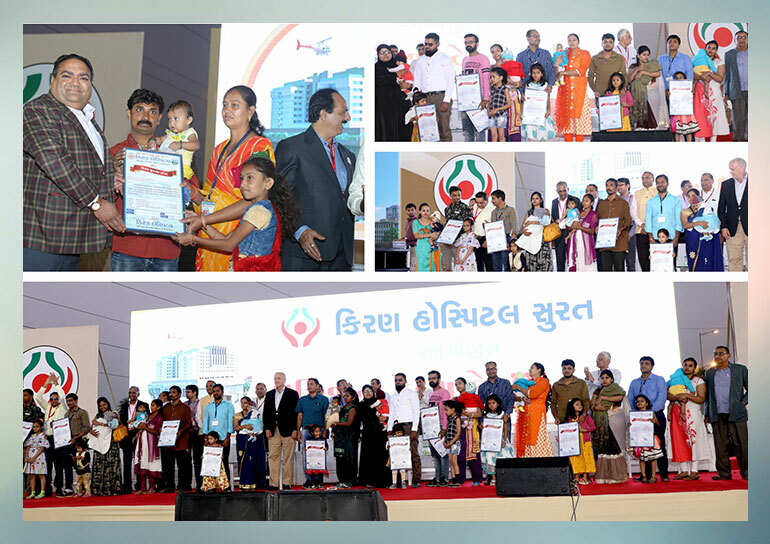 309 mothers, who had delivered girl child, will be given bonds of Rs1 lakh each under mission healthcare by city-based Kiran Multispecialty Hospital, set-up by diamantaires from Surat and Mumbai at an event to be held at Vesu on Sunday. Kiran Multispecialty Hospital was inaugurated by Prime Minister in April 2017. The Rs500 crore hospital is run by Patidar Samaj Arogya Trust, where majority of members and office-bearers are from the diamond industry in Surat and Mumbai. The hospital has announced that mothers giving birth to girl child will not have to pay a single penny to it. All the expenses on treatment and delivery will be borne by the hospital management. This 550-bed non-profit multi super specialty hospital which has been built at a cost of around Rs 500 crore by Samast Patidar Arogya Trust will offer its services to people from all sections and communities. 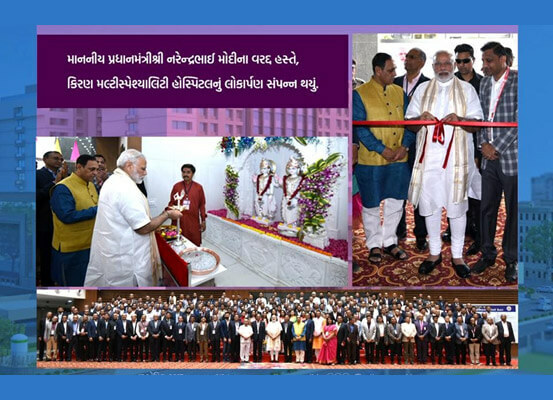 It is expected that from commonest to richest segment people of Surat, South and Central Gujarat areas, shifting to Mumbai or Ahmedabad for further treatment will be a matter of past with opening of Kiran hospital which has also an air ambulance facility atop the building with linked operation theater to deal with emergency cases. City’s diamond barons have played key role in construction of this hospital. Most donation for this non-profit hospital project has come from diamond businessmen who are originally from Saurashtra region but settled in Surat. According to them, the project is conceived with an idea to give something back to the city which gave shelter, food and employment to those who migrated here from Saurashtra.